Jonny Swift - Impact Communications, Inc.
As Director of Social/Digital Strategy at Impact Communications, Jonny Swift specializes in social media consulting, digital media production, and online presence. In addition to social media page development and strategy, Jonny consults with clients on digital media best practices and online presence, produces video and audio interviews (as well as copy, marketing collateral, digital advertisements, interactive online tools, and other content), provides insights based on data analytics, and strategizes with executives on digital marketing and online presence. ​He has presented his social and digital media marketing tactics and best practices at the Barron's Top Women Advisors Summit, the ACP National Conference, NAPFA's Midwest Regional Workshop, FPA Chapter Meetings, Bob Veres’ Insider’s Forum, the T3 Technology Tools for Today Advisor Conference, and more. In 2018, he served as emcee and digital content director for the inaugural Advisor Thought Leader Summit (www.AdvisorThoughtLeaderSummit.com). Jonny joined the Impact team in 2010 while still an undergrad at Loyola University Chicago, while also being actively involved in leadership roles within his fraternity – as well as academically, socially, musically, and in community service. Jonny graduated from Loyola in May of 2012 with a double major in Political Science and Music. Throughout his senior year, he also served as the Media & PR Intern at RCM Wealth Advisors (formerly known as Know Your Options, Inc.), an independent RIA in downtown Chicago. 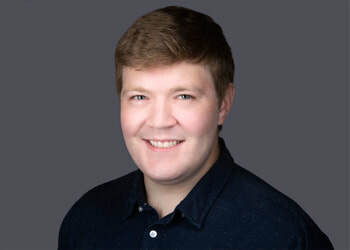 In December of 2015, Jonny graduated with a Master of Science in Predictive Data Analytics with a concentration in Marketing from DePaul University’s College of Computing & Digital Media. Jonny moved back to Impact’s hometown of Kansas City in late 2016 with his wife, Courtney, after marrying that summer. In his spare time, Jonny composes, performs, and produces music for his electronic rock band, enjoys attending concerts with friends, and is an avid collector of vinyl records. He is a Southwest Airlines frequent flyer and travels whenever possible. Bike rides along the KC riverfront and recreational basketball games keep him fit for the hikes and other outings he enjoys with friends and family members.